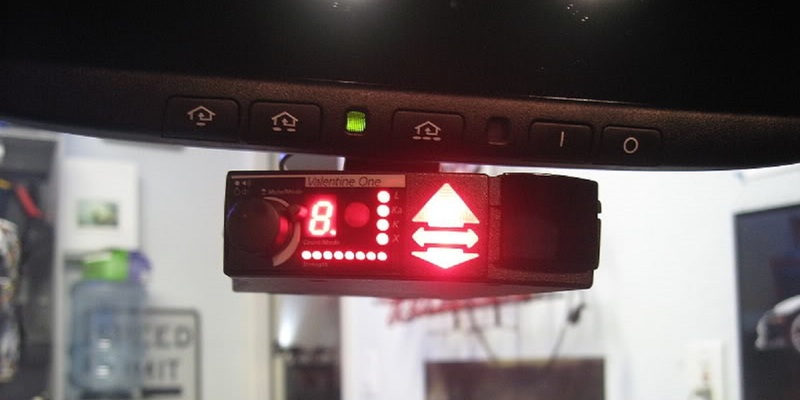 Recently Hooniverse began a series of radar detector reviews. Unlike many auto enthusiasts, I don’t use one. Here’s why I go against the grain of conventional wisdom, and leave myself seemingly vulnerable and unprotected from The Man keeping me and my automotive shenanigans down. I have nothing against radar detectors. According to AAA, they are legal for passenger vehicles in the US except for Virginia and Washington DC. (Our Canadian neighbors are less fortunate – detectors are only legal in Alberta, British Columbia, and Saskatchewan, and banned elsewhere.) Many of my gearhead buddies swear by them, especially the Valentine One. I’ve used a few myself in the past. Clearly I have no ethical dilemma with radar detectors. So what is my problem? “Radar detector” does not equal “cop detector.” If the point of having a detector is to avoid police, it’s not particularly effective. In my experience, they go off for false alarms more often than for actual police radar, turning them into the boy that cried “bad wolf” when it comes to finding the fuzz. You can switch to a lower sensitivity mode, but that’s pretty much like putting in ear plugs, reducing the overall noise level. You won’t get as many false alerts, but you won’t detect actual police radar as quickly, either. However, as Eric Clapton said, “It’s in the way that you use it.” For years the Valentine One has had its unique arrows to tell you what direction radar is coming from, and a counter to tell you just how many “bogeys” it’s picking up. That way, if you regularly drive by a shopping mall and always see three bogeys off to the side, you know that they’re false alarms coming from the mall. You also know that if one day you see four bogeys and one of them is ahead of you, watch out – there’s probably a speedtrap ahead. It’s useful, but it requires you to know your territory, which doesn’t help if you’re driving in an unfamiliar area. It’s also a whole lot of extra knowledge and brainpower you have to expend on interpreting what your detector is telling you. I think I’m better off using that brainpower for overall situational awareness, including but not limited to the potential presence of speedtraps. Police aren’t dumb. They’ve been fighting the radar game since they started using it. They know detectors are out there, and where they haven’t outlawed them, they’ve learned techniques to avoid detection when they want to. Rather than bleating out constant radar, they typically have it in standby mode, and only activate it when they want to check a particular car’s speed. That’s how the sergeant I rode along with one night used it. This is known as “instant on” radar. There isn’t much protection against this, no matter how good your detector, because it can’t detect something that isn’t there. You might detect radar when it’s scanning a car in front of you, but there’s no guarantee of that. You probably won’t detect laser until it’s too late thanks to its extremely focused beam. It may scatter a little bit off the front license plate – for a good time, aim an ordinary laser pointer at a license plate some night – but it probably won’t be enough to detect before your number is up. Many false alerts are intentionally placed out there. One common example is the illuminated road sign. 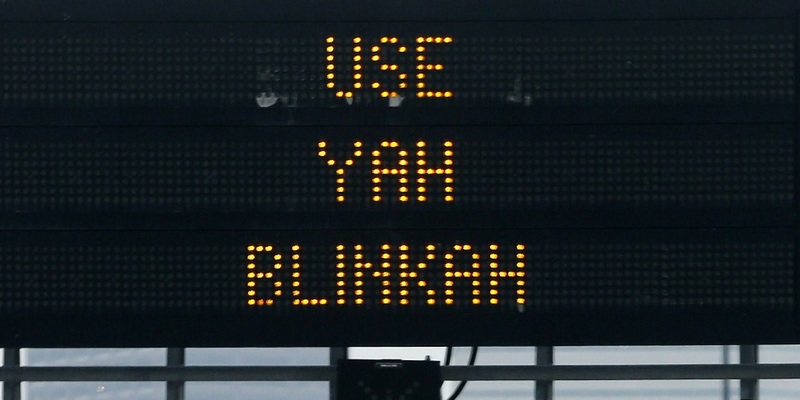 They can be programmed to display any message, such as this one written in my native Bostonian language. Many of these also contain radar transmitters – not to monitor your speed, but to get the attention of anyone using a radar detector and make them slow down. Another example is the radar speed signs that pop up anytime, anywhere. These actually do monitor your speed, but only to display back to you rather than for enforcement purposes. 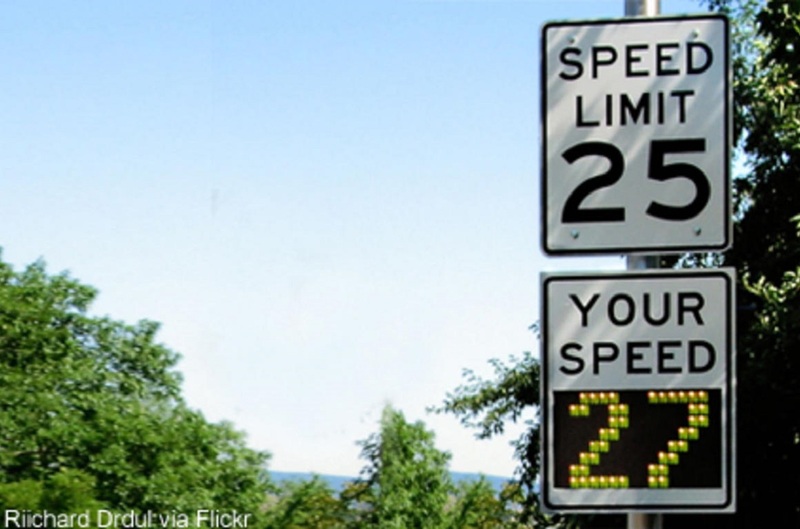 These signs rely on peer pressure to keep your speed in check. After all, who wants to be “that guy” who’s obviously doing 42 in a 25 zone? And for people who use radar detectors, this is yet another alert that is not an actual police officer. To the detector, these aren’t false alarms – the radar sources are just as legitimate as the ones attached to a police car. But they’re not actually police. This makes it much more difficult to determine when you actually need to slow down. If you do get stopped, you’re far less likely to talk your way out of it if you’re running a radar detector. Even where they’re legal, they still indicate a clear intent to speed. After all, if you intended to always drive the speed limit, you wouldn’t need a detector, would you? No matter how polite and professional the conversation is, you’re more likely to get a speeding ticket if you’re caught with a detector than without. The obvious solution is one that is often suggested. When they light you up, remove and hide your detector. They’re not allowed to search your car without your consent or probable cause of a crime, so they won’t know you have one, right? Not exactly. Like I said, police aren’t dumb. If they see the marks on your windshield of where a radar detector used to be, they can probably figure out that it wasn’t a cell phone mount. Cables running under the seat or into a storage bin are another sign. But the most disturbing sign, from the officer’s point of view, is a sudden flailing of hands inside the car when they light you up. You may only be hiding a detector, but how do they know you’re not hiding drugs or a gun? This puts them more on edge when they approach you. 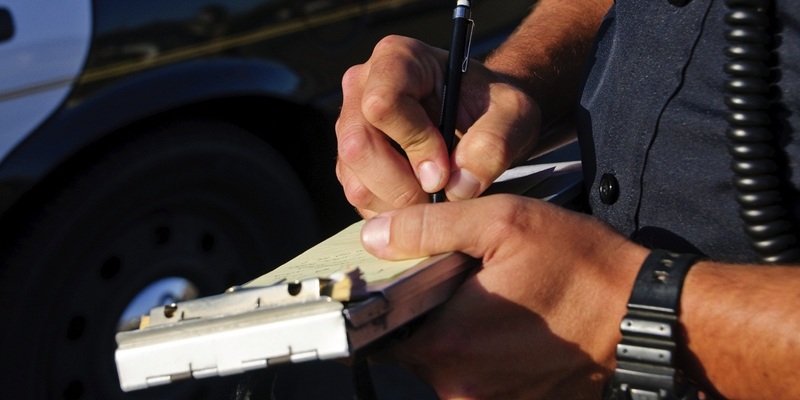 There are plenty of good articles out there about how to behave when you get pulled over. This one by Steve Lehto is one of my favorites. But suffice it to say that you want to put the officer at ease as much as possible. Make it clear that you’re harmless and you’ve just made an honest mistake. 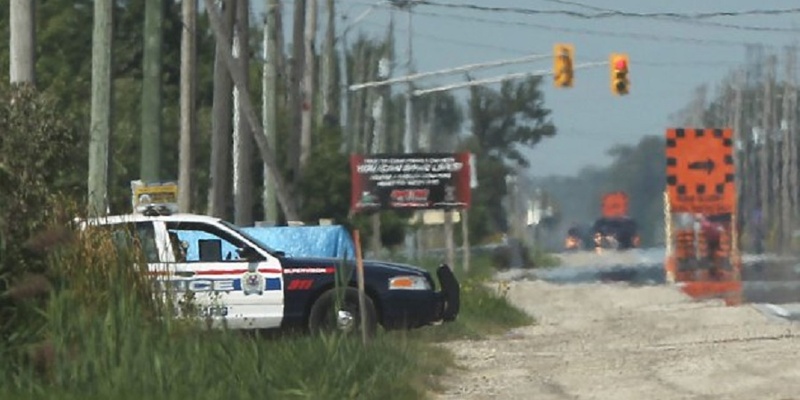 Quickly hiding something – anything – when you get pulled over does precisely the opposite. Radar detectors are all well and good, but today there are better solutions out there. Trapster was a popular app specifically for real time crowd sourcing of speedtrap locations. They shut down at the end of 2014. That’s OK, because Waze incorporates this functionality and much, much more. Though laws vary from state to state, it’s generally legal to plot a course into Waze, then put your phone in a mount or a cupholder and let it tell you where to go. The fact that Waze also informs you of traffic, road hazards, and police locations is simply a beneficial side effect – and legal where detectors are not. Radar detectors, by definition, detect radar (and laser) sources, but Waze relies on actual human beings to input actual data on actual police. Sure, false alarms still happen, but generally because an officer has left a previously reported location. It’s still far more accurate than a radar detector. 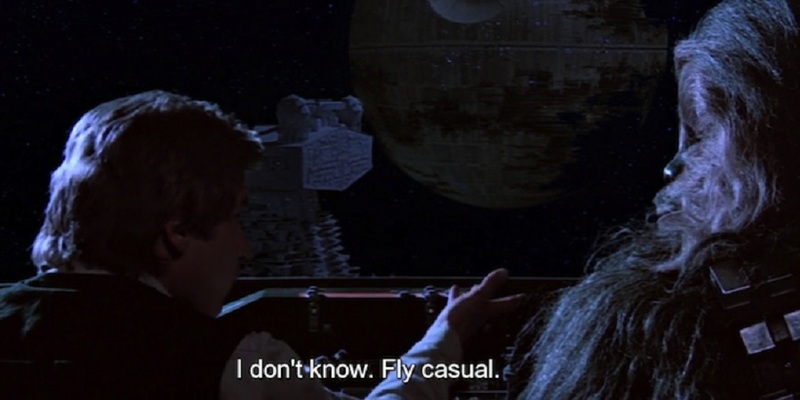 I’ve already written about flying under the radar, so I’ll just say that this is another good way to avoid trouble. Drive smart. Save the shenanigans for empty areas where it’s safe and less likely that you’ll get caught. Maintain situational awareness so that you’ll be more likely to spot trouble before you get into it. That goes for road hazards as well as trouble with the law, and is something you should always do anyway. It’s a gamble either way. Do what you think is best. And may the odds be ever in your favor.